TJ Cox continues to make significant gains on David Valadao. We now only trail by 968 votes! An additional 3,476 ballots have been counted in the race California’s 21st district. TJ Cox continues to make significant gains on David Valadao. We now only trail by 968 votes! We’re officially within one point of David Valadao. Once the remaining ballots are all counted, TJ can still win this! We’re going to push forward until every last ballot is accounted for. Can you rush a donation to keep our campaign going a little longer? Let Kimberly know if you can make it. You Are Cordially Invited To Attend: Trustee Elect Kimberly Tapscott-Munson’s Celebortorial Event. At the moment that elected officials are entering the Capitol for the first day of the legislative session, we will convene to testify and demand that the Legislature address the needs of the people and the planet. The Northern California Poor People’s Campaign: A National Call for Moral Revival will be joined by the Campaign to End Child Poverty in California and the Lifting Children Out of Poverty Task Force for the press conference. The Campaign to End Child Poverty in California (http://www.endchildpovertyca.org/) and Members of The Lifting Children and Families Out of Poverty Task Force (http://www.cdss.ca.gov/inforesources/CDSS-Programs/Poverty-Task-Force) have launched this coordinated campaign to end deep poverty in California this year! • Public Hearing Follows Inside the Capitol at 10: 45AM-12:30PM. Testimony will lift the voices of the poor and disenfranchised, along with faith and community leaders. Join Northern Californians (Redding, Chico, Davis, Sacramento, Stockton, Fresno, Merced, Auburn, San Francisco, Marysville, and Oakland and other areas) to share testimony and demand that our elected officials act to fight systemic racism, poverty, ecological devastation, the war economy/militarism and our nation’s distorted moral narrative. Open enrollment for health insurance through the Covered California marketplace is happening now. This means that you can purchase a health insurance plan or renew your coverage until January 15, 2019 through Covered California, our state’s health insurance marketplace. For coverage beginning on January 1, 2019, you must sign up by December 15th. If you sign up after December 15th but before the January 15th deadline, coverage will start on February 1, 2019. For details about available plans, please visit: https://www.coveredca.com/apply/ or call 1 (800) 300-1506. Would you like a live person to help you find a plan and/or sign up? Find a certified enrollment counselor or certified agent who can assist you free of charge here. Are you looking for in-person help at an enrollment center? Find a certified enrollment center near you here. Are you interested in learning more at an in-person information session? Find upcoming events in your area here. Would you like an online video to guide you through the Covered California website? For videos to guide you through comparing plans, creating an account, selecting a plan, and more here. Please take the time to learn about your options, and as always, if you have any questions, please do not hesitate to contact my office. 2018 TRANSGENDER DAY OF REMEMBRANCE RALLY – YOU ARE INVITED! Here is a friendly reminder that on Tuesday, November 20th at 4:30pm Trans-E-Motion will hold a rally and protest against anti-transgender violence at Blackstone and Nees in Fresno (we will meet at the northeast corner by In N Out). This is to raise awareness about safety for transgender and gender non- conforming identities. Join us as we demand justice for our fallen transgender community members. Now is the time to advocate for the transgender community. Signs will be provided but you may bring your own. We will hear a few speeches from local community organizers educate and speak out against malevolence towards our transgender community members. **** Trans-E-Motion will be holding their Monthly Art Night after the TDOR Rally on Tuesday, November 20th from 6:30pm to 9:30pm at Common Space at 2915 Tulare St, Fresno, CA 93721. We did it! Thank you to the people of California for electing me to be the next State Superintendent of Public Instruction. Earlier today Marshall Tuck graciously called me to offer congratulations, best wishes, and his offer to help in our work for students going forward. I give my best wishes to him and his family. Thank you to all of you who contributed your time, dollars, and passion to make this historic victory possible. I have so many people to thank and acknowledge in the coming days, and I can’t wait to celebrate this hard-fought victory with all of you. I can’t wait for us to get to work for the kids of California. I intend to be a champion of public schools and a Superintendent for all California students. I ran for Superintendent of Public Instruction to deliver to all Californians the promise that public education delivered to me – that all students, no matter their background and no matter their challenges, can succeed with a great public education. As Superintendent of Public Instruction, I’ll fight for the values I’ve spent my career fighting for, and the values upon which we built this campaign together. That we should educate, not incarcerate our children. That we support educators. That we must fully fund and care for our public education system, for every child. These are the values that will create a better life for all through the power of public education in the great state of California. Time to get to work. Thank you for trusting in me to serve California’s 6 million students. Together we offer QuickStart, a program to help build capacity for California’s communities to partner with scientists to engage in research focused on breast cancer and tobacco-related disease. We are looking ahead to QuickStart 2019 to reach out to potential participants for our program and we need your help. focuses on the role of environmental exposures and health disparities increasing the risk for breast cancer or tobacco-related diseases. Upon completing the program teams are prepared to apply for research funding from CBCRP, TRDRP and other funders. Our past participants have been quite successful in receiving funding for critical research projects. Based on the work you do, we think our program may be either a match for you, or you may know people who would be interested in learning more, or both. We believe that you represent an important perspective on the issues communities are facing, whether it is environmental exposures or health disparities (both those that increase risk for breast cancer and tobacco related disease or exist within breast cancer, tobacco use and tobacco-related diseases among priority populations), providing culturally appropriate support for women experiencing breast cancer, reducing tobacco use in all its forms or exposure to secondhand smoke, addressing industry marketing of tobacco products to communities of color and young people, or a larger perspective of the environmental health and justice issues affecting California. We would like to tell you about our program and then discuss you or other potential participants we could follow up with to discuss the possibility of applying. In exchange for your participation in the luncheon you or your organization will be offered an honorarium of $100.00. We hope you can join us for lunch and a good conversation. We have included more information on our organizations and our training program below. You can also see our webpage and video at http://cbcrp.org/funding-opportunities/crc/quick-start-training.html. Please RSVP to Heather Sarantis at heather@commonweal.org. Please note, this invitation is only for you. If you would like to suggest someone else be invited, please contact us directly at heather@commonweal.org. We will send more information as the date approaches. If you have any questions, please do not hesitate to contact us. Community-based Participatory Research (CBPR) is research conducted by a partnership that includes at least one community Co-PI and one scientific Co-PI. Together, as equal partners, the partnership decides which research questions are most important to them, determines how to study these questions, gathers and interprets data, and communicates findings to other community members, scientists, and the general public. By combining the knowledge and interest of communities with the expertise and resources of research scientists, partnerships are responsible for conducting research that answers important questions in a way that has immediate impact on knowledge, programs, and policies. What is the QuickStart training? QuickStart is an innovative face-to-face and online program for both newly forming and experienced collaborative community-academic research partnerships. Collaborative partnerships include two Co-Principal Investigators (Co-PIs). In each partnership there must be one community Co-PI and one scientific Co-PI. QuickStart will provide in-person, online, and phone-based technical assistance to stimulate community-based participatory research (CBPR) that addresses breast cancer, including the environmental causes of and/or disparities in breast cancer, prevention of breast cancer, or other topics. It is expected that enrolled partnerships who are based in California and complete the program will be prepared to submit competitive grant applications to CBCRP Community Research Collaborations (CRC) awards during Cycle 25, in the spring of 2020, the Tobacco-Related Disease Research Program (TRDRP) for a grant type focused on community participatory research, in the fall of 2019 or winter of 2020, and to other funding sources. QuickStart is supported by the National Cancer Institute of the National Institutes of Health under Award Number R25CA188482. The content is solely the responsibility of the trainers and does not necessarily represent the official views of the National Institutes of Health. CBCRP is the largest state-funded breast cancer research effort in the nation whose mission is to eliminate breast cancer by leading innovation in research, communication, and collaboration in the California scientific and lay communities. One of the primary funding mechanisms is the Community Research Collaboration (CRC) Awards, which provide $150,000 to $600,000 of funding (plus indirect funds) for partnerships of California-based community organizations and research scientists. CBCPR also funds the California Breast Cancer Prevention Initiatives, which focus carefully crafted research initiatives on the effects of the environment on the development of breast cancer, why some groups of women are more likely to get breast cancer or to die from the disease, and breast cancer prevention. www.cabreastcancer.org. The Tobacco-Related Disease Research Program (TRDRP) funds research that enhances our understanding of tobacco use, prevention and cessation, the social, economic and policy-related aspects of tobacco use, and tobacco-related diseases in California. TRDRP is solely funded through the tobacco tax and individual contributions. We support critically needed new priorities that represent gaps in funding by other agencies or are areas where other agencies are reluctant or unable to provide support. Since TRDRP’s inception, we’ve funded more than 1,200 research grants on tobacco-related studies, with 95 percent of our revenue going directly to funding research and education efforts. TRDRP revenue is used to make grants for California scientists and community researchers to find better ways to prevent and reduce tobacco use and its related diseases. Founded in 1976, Commonweal is a nonprofit health and environmental research institute in Bolinas, California. Commonweal seeks to engage in educational, charitable, and research activities, which contribute to the health of individuals, to public health, and to the health of the global environment. Programs include the Commonweal Cancer Help Program, the Institute for the Study of Health and Illness, the Juvenile Justice Program, the Collaborative on Health and the Environment, the Regenerative Design Institute at Commonweal Garden, the Commonweal Biomonitoring Resource Center, and The New School at Commonweal. For more information on Commonweal and its programs, see www.commonweal.org. The Orange County Asian and Pacific Islander Community Alliance (OCAPICA) is dedicated to enhancing the health, and social and economic well-being of underserved communities in Orange County, California. Established in 1997, OCAPICA serves more than 40,000 community members a year through programs in health, mental health, education, youth development, workforce development, and civic engagement. OCAPICA has more than 100 staff that speak 26 languages including ASL. www.ocapica.org. In difficult times, always keep something beautiful in your mind. 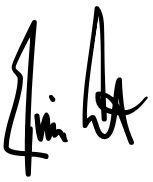 Sign our card to congratulate Ricardo! We wanted to be the first to tell you the HISTORIC news: Ricardo Lara has won his race for State Insurance Commissioner, making him the FIRST openly LGBTQ statewide elected official in California history! Ricardo’s election is a clear signal: thanks to YOU, the ‘Rainbow Wave’ came to California — and it’s not going away anytime soon. Equality California and our members poured a lot into Ricardo’s race because we know how important it is for LGBTQ leaders to have a seat at the table and we know Ricardo will be a champion for our community and for all Californians. , Ricardo’s victory — and the victories of hundreds of other openly LGBTQ and pro-equality leaders across California and the nation — were only possible because people like YOU knocked on doors, made phone calls and turned out to vote! For that, we are forever grateful — and I know Ricardo is, too. 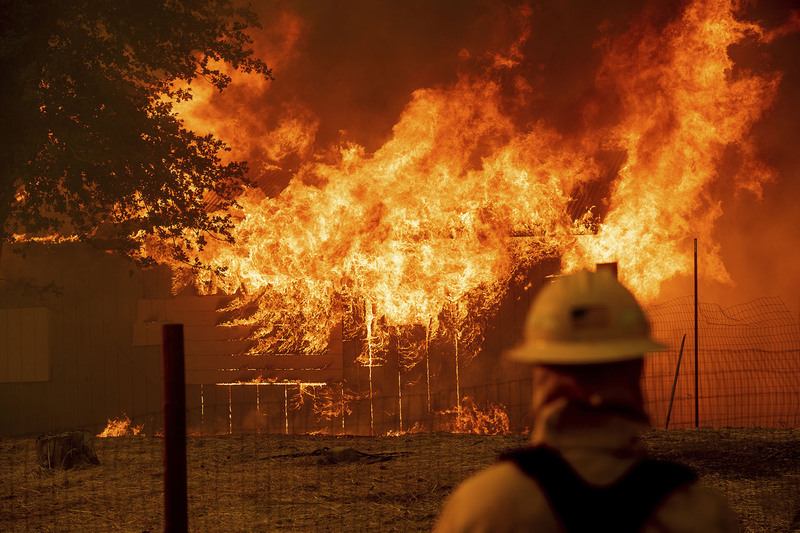 This week, we have all watched in horror as wildfires rage across California — killing at least 56 people with many more missing. So many of our friends and family have lost their homes. It is devastating, Fresno Dem club. More than ever before, we need to come together — following the courageous example of the firefighters and ordinary people who have saved many lives — to support those displaced and hurt by these historic wildfires. In the past, our team has raised nearly $2 million for victims of national disasters, including wildfires and hurricanes across our country. It’s time for us to do it again for our neighbors, and make a difference for those who need our help right now.
. Join us today in fighting for justice, equality, and an economy that works for everyone by making a contribution to Kamala’s campaign here. We ultimately won through grit, determination and commitment to the cause. But most importantly, we did this together. And as your representative, that’s how we will continue: as a community, finding solutions to problems both big and small, local and global. Together, we will get our district back on the path to prosperity and civility. Thank you for everything you’ve done for us. Whether you canvassed, volunteered, wrote an op-ed, attended a town hall, donated or simply shared a post on our social media, you are the reason we won this huge race. Thank you and I can’t wait to be your representative. It is clear from the latest results that our campaign will prevail when the final tally of votes is completed. From the bottom of my heart, thank you. I am profoundly humbled and honored to have received your support. We accomplished something many thought was impossible, and we did it because of you. From the beginning, I made it clear that this race was about the people of the Valley, their issues and their right to have a chance at achieving the American dream. Our message prevailed, and our work is only just beginning. We won together, and it is my hope that we continue to work together to provide our communities with good paying jobs, access to healthcare, clean air, water infrastructure, and quality education. I will work towards these goals every single day in office. This victory is just the first step in ensuring a better life for everyone in the Central Valley. 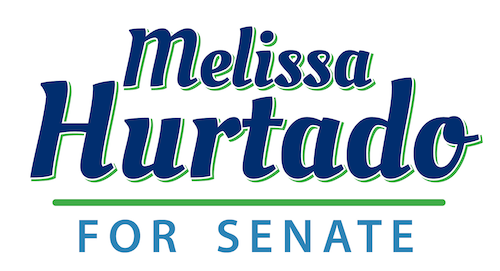 Copyright © 2018 Melissa Hurtado for Senate, All rights reserved. Thank you for being a rock in the District 7 campaign. Your contributions and efforts made a world of difference for our community here in Fresno. Now it is time for us to come together and Build Fresno’s Future. Friends- Thank you for being one of many rocks in this landslide victory. Your contributions and efforts made a world of difference for our District 7 community in this endeavor to Build Fresno’s Future. While there are still many ballots left to be counted, we feel confident that the numbers below will only continue to grow in our favor. Your continued support is what allows us to achieve these kind of results. Thank you. The endeavor to Build Fresno’s Future is a community effort supported by folks just like you. Catch up with Nelson on social media! Election 2018 was one for this history books – and nearly a week later, races are still be called in our favor both here in California and across the Nation. We truly created a Big Blue Wave. While the Election is still recent, we want to take the opportunity to share some of our thoughts with you, the Grassroots Leaders and Elected Officials of our Party, while these tremendous victories – and the lessons we learned along the way – are fresh in our collective minds. 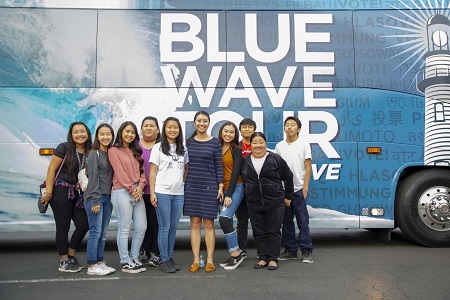 Over the next few weeks, we’ll be sharing more of entries in our Building the Big Blue Wave series with the hopes that it generates discussion, debate and feedback so that we can build on these victories in 2020. Once again, we are so grateful for the downright inspirational work done by our Grassroots Democratic Activists! This truly was a victory born in California. Democrats have won a resounding victory in California. As of this writing, we have flipped four Republican Congressional districts that haven’t been seriously contested in decades and that number could climb as high as seven when hundreds of thousands of uncounted mail ballots are processed. We elected most of our statewide ticket by landslide margins, and we recaptured our Supermajority in the State Legislature. We are extraordinarily proud of the work done by our Grassroots Democratic Activists, candidates and our hardworking CDP staff. We rightly pride ourselves on having the most talented, energetic and diverse set of activists and Party professionals anywhere in America. 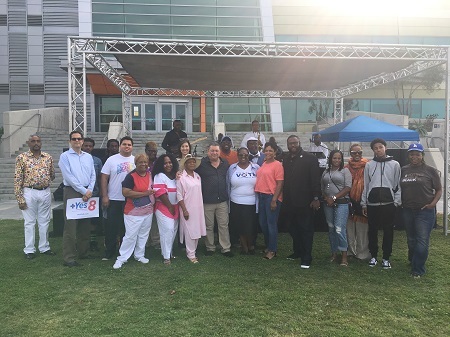 Our Party looks like California, and that is true from our Permanent and Coordinated Campaign staff, to the candidates on our slate cards, to the Delegates of the State Committee. Every community in our state has a seat at our table, and that is one of the key reasons that our Party has grown into such a dominant force in California politics. We have embraced inclusion and equality as the foundation of our values, and that resonates with Californians – particularly at a moment when Republicans are rapidly degenerating into little more than a thuggish white nationalist gang. We know that we have much more work to do, both within our Party and throughout California. It’s not enough to simply say we value inclusion and diversity – we have to live it every single day. Incredible staff diversity – 29% Latino, 9% Asian American/Pacific Islander, 16% African American and 4% Native American. Additionally, our staff includes a significant number of rural, LGBT and people with disabilities. CDP Emerging Communities program focused on African America, AAPI, Rural, Latinx, Millennial voters through organizing, dedicated staff and multimedia engagement. History-making candidates elected – We have elected the most diverse cabinet in California history, with our statewide offices filled by three women, four Latinos, three AAPI, and likely the first-ever African American Superintendent of Public Instruction. Our Supermajority in the Legislature has been restored by Anna Caballero and Melissa Hurtado, two strong Latinas who captured longtime Republican Central Valley Senate seats. And we elected a number of notable candidates, including James Ramos, a former Chair of the San Manuel Band of Mission Indians, who captured a Republican Assembly seat. Unprecedented Resources to Elect People of Color – Final numbers are still being tabulated, in part because there are so many tight races where we’re observing the vote count, but when all is said and done the CDP will have expended more than 10 million dollars to elect our candidates. 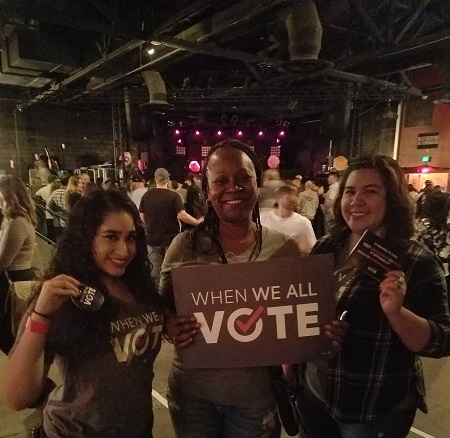 Most notably, we spent more money to elect Tony Thurmond than all the other statewide candidates combined, and we are excited and hopeful as his vote count continues trending strongly the right direction. This was, in many ways, a watershed election. The Media insists on viewing this only through the prism of whether or not we repudiated the current occupant of the White House enough. It is far more than that. When we look to what People of Color – and particularly Women of Color – achieved in California, we know that we have made extraordinary gains and built a solid foundation to further empower women, People of Color, the LGBT Community and People with Disabilities. Our victories in California, and the thrilling, brilliant, still-unresolved campaigns of Stacy Abrams and Andrew Gillum in the heart of the old Confederacy shows that inclusion not only brings value to our Party, it brings votes to table. And that is something every Democrat must embrace if our Party is to have the credibility we need to win in 2020. FRESNO – Melissa Hurtado claimed victory today in her campaign to unseat state Sen. Andy Vidak. Hurtado, the Democratic candidate and a member of the Sanger City Council, declared victory after the latest election results were posted on the California Secretary of State’s website late Monday morning. 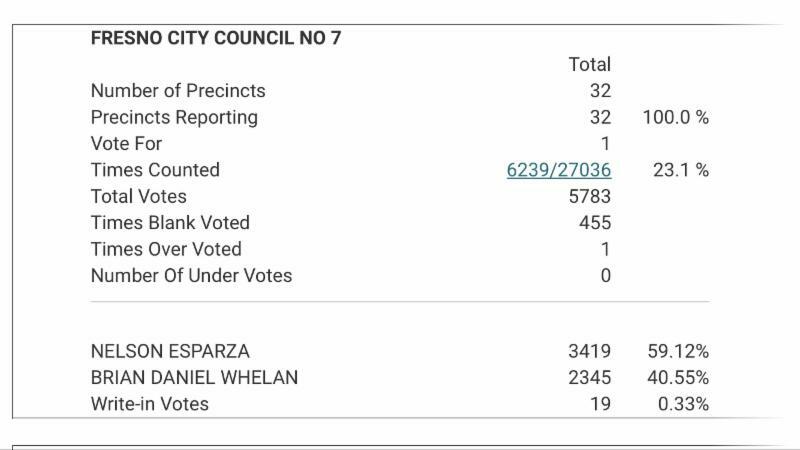 According to the Secretary of State’s website, Hurtado leads Vidak by nearly 8,000 votes which translates to an 8 percent lead. The 14th Senate District includes all or parts of Fresno, Kern, Kings and Tulare counties. “It is clear from the latest results that our campaign will prevail when the final tally of votes is completed. “Our effort would not have been successful without the backing and effort of the volunteers and supporters who helped us reach out to voters.